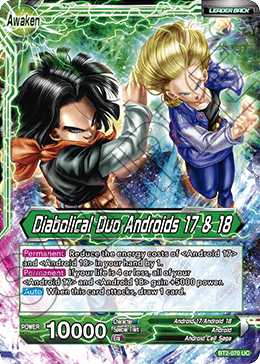 Reduce the energy costs of ＜Android 17＞ and ＜Android 18＞ in your hand by 1. When your life is at 6 or less : You may draw 2 cards and flip this card over. 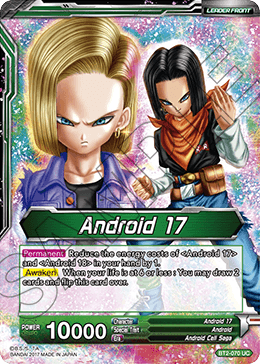 If your life is 4 or less, all of your ＜Android 17＞ and ＜Android 18＞ gain +5000 power.